Home BIOGRAPHY HISTORY Diana Chelele Biography, Life History, Marriage, Husband, Death & Music. Diana Chelele Biography, Life History, Marriage, Husband, Death & Music. 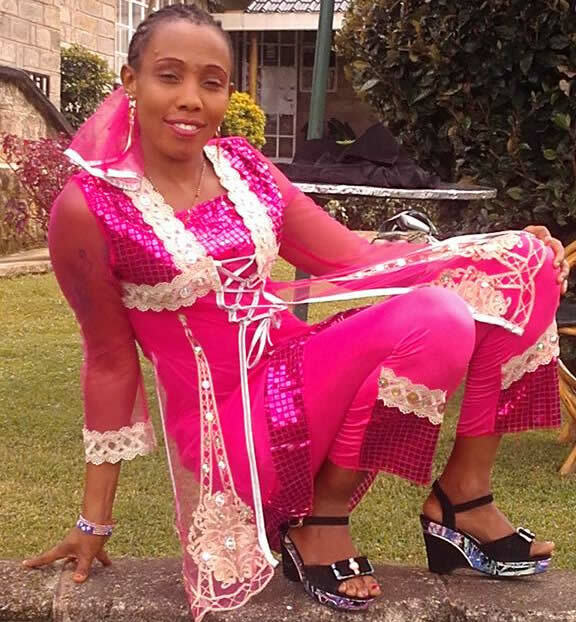 Slain Kalenjin songstress Diana Chemutai Musila despite being famous and singing songs with funny lyrics was not new to controversy. 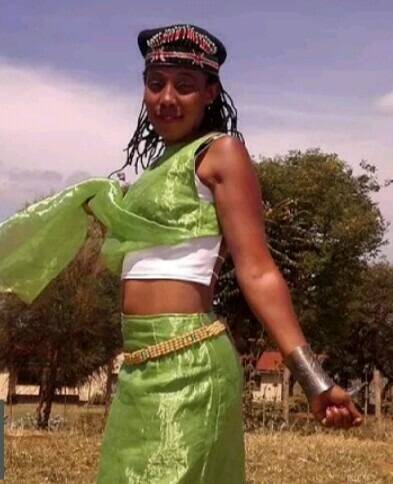 The artiste, popularly known as Chelele, who performed in almost all Kalenjin events and road shows came to the limelight when she introduced South African rhythms in her songs. Chelele dropped out of Chebonei High School while in Form Three to pursue her music career. While at Njerian Primary School in Bomet, she would entertain her colleagues during meetings and lead them to various music competitions. How did a woman so beautiful, happy and seemingly successful harbour such a burden? How was it that a woman who had touched the hearts of many and known many, suffer in so much silence? In her last album, she talked about her problems in life and even asked God to help her. She, for the first time, recorded a Gospel song, Kamang’unet (Hope). Her father Paul Rono wished she had never been married. “I had given her instructions that when she got out of school and wanted to do music, she should leave marriage alone. When she brought the man to marry, I told her not to but I guess this man went ahead and married her secretly,” he said. According to Mr Rono, her child was not the kind to rush into things. Though decisive, Mr Rono said, Chelele would take her time and would require consistent pressure to agree to anything. “Sometimes, I had to tell her (something) up to four or five times before she could agree,” he said. Family members said that though Chelele was a happy woman, who joked easily and was usually jovial, she was easy to stress and could get angry easily. “Before I came and later found her body lying on the verandah, I had looked for her for three days and what came to mind was I should check an open dam in her compound. She was a happy woman, but when she got stressed and no one was there to comfort her, she was capable of doing something irrational,” said her sister Beatrice Chebet. Chelele, who was married to Administration Police Officer Eric Musila, was the second born in a family of five; four girls and one boy. In 2012, Chelele hit the headlines when her husband was arrested and charged with the murder of Eldoret surveyor Eliud Yego in an alleged love triangle. Mr Musila, who had twins with the singer, was accused of shooting dead Mr Yego for allegedly having an affair with the musician. The officer and his wife were arrested and detained at Litein Police Station in Bomet as the investigation into the murder continued. They were eventually charged with the murder of the surveyor. The case is pending in court. On October 3, last year, the famous musician was admitted to the Nakuru General Hospital after a suicide attempt. She was found unconscious in a hotel in Nakuru, moments after she had called her friends and informed them of her intentions. A day before the attempted suicide, she had performed at a road show in Eldoret which attracted a huge crowd. The couple’s children also turned to be a source of conflict between the two and after signing papers to separate, Mr Musila got custody. “It disturbed her a lot and even after they had separated, they got close again after Musila told her that he will bring back the kids. They were to meet over the issue of the kids,” said musician Damaris Chepkemoi who was a close friend of Chelele. Though she never spoke about why she tried to take her life, family members and friends said she was very disturbed by what they said was an acrimonious marriage. “She was in a very abusive relationship. I remember once our family members were here, and the husband threw a glass at her as we all watched. She went through a lot and she did not deserve to die,” said Chelele’s sister and the last born in the family, Susan Chepkemoi. Ms Chepkemoi said she wished she had pressed hard to know where the singer was headed to the night before her death. “I wanted to ask her where she was going, and I could not because we were with very many people. Sadly, that was the last time I saw her,” she said amid sobs. The songstress had recorded a number of chart-busters in her music career.